ATTENTION Lake of the Woods Artists, non-profits, community organizers, business owners and city planners: The rewards of arts collaboration are many! June 27, 2012 at the Depot in Baudette, MN. REGISTER TODAY! This Region 2 Arts Council sponsored professional development workshop is designed for people to come together and share arts project ideas with the goal of strengthening Lake of the Woods communities through art. Presenter Mark Turner will explore the value of coordinating arts events and activities with other regional partners and share concrete examples of collaborative efforts and cutting edge arts collaborative practices. *This workshop will be proceeded by a grant writing workshop/ drop in session with a Region 2 Arts Council staff member reviewing FY13 arts grants. Time: 4p.m. – 6 p.m. Call Region 2 Arts Council at 218 751-5447 / 800 275-4557 or email staff@r2arts.org to register. Registration Deadline: June 20, 2012. 1. NATIVE AMERICAN ARTS – JUNE 6. INSTRUCTOR – DEB CARLSONLearn about American Indian crafts using leather, beading, seeds, and more. Grades 3-8, limit 10. Cost: $12.00. 2. PRINT MAKING AND DRAWING – JUNE 13. INSTRUCTOR – JENNY MOORMAN: Explore methods of printmaking which do not require a “press.” Students will learn and practice basic principles of relief printing and more. Plus learn to draw! ” Morning session – grades 3-5 – $7.00; Afternoon session – grades 6-8 – $7.00. 3. JAPANESE SMALL TALK – JUNE 20 AND 27. INSTRUCTOR – LINDA REDEKER: Mornings only – total cost/2 sessions $12.00. Grades 3-5, limit 10. The class will be an introduction into the Japanese culture, including language, clothing, food, and art. 4. THEATER – JUNE 20 AND 27. INSTRUCTOR – JOYCE WASHBURN: Afternoons only – total cost/2 sessions $12.00. Grades 3-8. Actors will learn basic acting techniques, create their own theater event, rehearse, and perform. 5. PAINTING – JULY 11. INSTRUCTORS – NANCY LUCAS AND AMY LUCAS: 321 ART STUDIO Morning: Learn about the color wheel,rainbow watercolor painting, practice mixing secondary colors, and create original works on acrylic paper. Learn about famous painters Vincent Van Gogh, Picasso, and Matisse through stories. Afternoon: Foil design, sculptures and textures. Grades 3-8, $12.00, limit 20. 6. WONDER WEAVERS/STORYTELLING – JULY 18. INSTRUCTORS – TINA ROHDE AND COLLEEN SHASKIN: Morning only – Grades 1-8; $7.00. Limit 25. Start the morning with storytelling performance by the WonderWeavers. Move on to storytelling games and skill building to help students explore the art of storytelling and create their own stories as individuals or in small groups. 7. INTRODUCTION TO MOSAICS – JULY 18. INSTRUCTOR – SUE HOPKINS: Afternoon – July 18 plus one hour (9:00-10:00 – July 25). Grades 3-8, Limit 15. $7.00. Students will learn the process of the direct mosaic method, by completing a small project from start to finish. 8. WRITING CHILDREN’S STORIES – JULY 25. INSTRUCTOR – JESSICA GUBBELS TORNESE: Morning only – Grades 1-6; $7.00. Story ideas are all around us. Learn to play with the parts of a story – setting, characters, and plots – as you have fun writing and creating your own mini-book. 9. PUPPETRY – JULY 25. INSTRUCTOR – MARGARET BURGER:Afternoon only – Grade 1(age 7) and up; $7.00, Limit 20. This class will be a two part puppetry experience with a family friendly puppet performance by Margaret Burger followed by a “make-and-take” puppet making project. 10. WILDLIFE MANAGEMENT IN LAKE OF THE WOODS COUNTY FIELD TRIP – AUGUST 1. INSTRUCTOR – SCOTT LAUDENSCHLAGER: Morning only (9:00 – 1:00 p.m.) Ages 11, 12, 13; Limit 15. $7.00. Will need some parent drivers to assist. Explore the great outdoors as you learn about our area wildlife. Bring your camera and wear outdoor gear/boots. 11. CULTURAL DANCE – AUGUST 1. INSTRUCTOR – BROOKE KNICK: Afternoon only – Grades 3-8. $7.00. Learn to dance mostly village dances in folk style to the complex and fascinating rhythms and music of Eastern Europe. 12. PHOTOGRAPHY – AUGUST 8. INSTRUCTOR – CHRIS TOLMAN/HEADWATERS SCIENCE CENTER: Grades 3-8, Limit 15. $12.00. This is a basic introductory class for kids who want to learn more about photography. Students will learn how a camera works and the three main components that affect the outcome of a photograph: shutter speed, aperture, and ISO. 13. “TRAIN TRAVELS ADVENTURES” BENCH PAINTING PROJECT– AUGUST 15. Grades 3-8, Limit 15. $12.00. Students will interpret their visions of “train travel adventures” into a series of images on two depot benches (non-historic). 14. SHOW AND TELL – AUGUST 22: All summer students are invited to return for a “Giant Show and Tell Celebration.” The public will be welcome to attend as well. No charge. Set up – 9:00 – 12:00; open house – 1:00 p.m. – 3:30 p.m.
For more information and registration, please go to http://www.baudettedepot.org/#!summer-fun! “Train Travel Adventures” is made possible in part by a Region 2 Arts Council grant through funds provided by the Minnesota State Legislature. Artists, non-profits, community organizers, city planners and anyone interested in collaborating for creative Lake of the Woods communities! This workshop is designed for people to come together and share arts project ideas with the goal of strengthening our Lake of the Woods communities through art. Presenter Mark Turner will explore the value of coordinating arts events and activities with other regional partners and share concrete examples of collaborative efforts and cutting edge arts collaborative practices. Call Region 2 Arts Council at 218 751-5447 / 800 275-4557 or email staff@r2arts.org to register. Registration Deadline: June 12, 2012. 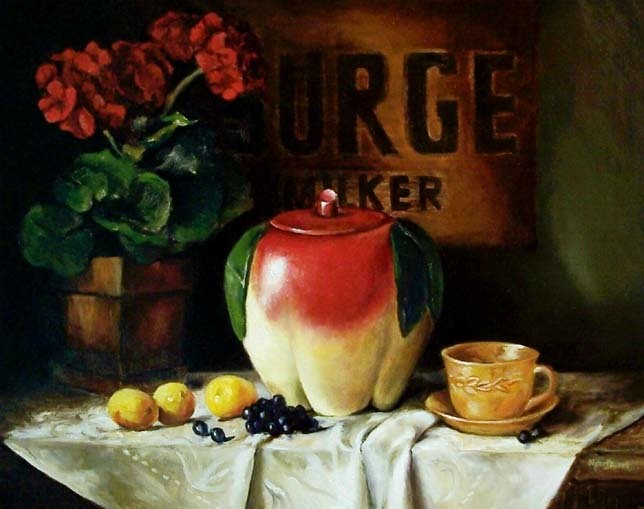 Professional Artist, Ruth Ann Nordlund will teach an oil painting still life workshop May 18 – 20 at the Lake of the Woods School Art Room. Cost is only $25.00 plus supplies for the entire weekend. The class is open to anyone ages 9th grade through adult and all skill levels. Class size will be limited to 15 and available on a first come first served basis. This workshop will be a fabulous skills-building opportunity for students to learn about Ruth Ann Nordlund’s methods and techniques in order to produce their own original creative works. Students will set up a still life, including choosing objects, arrangement and lighting. Following this, the students will begin to create their own painting with assisted support. Instruction will be emphasizing the main principles of concepts, value, edges, and color and their relationship to the surface. Students will discover the interaction between objects and how light travels across the painting. Registration deadline is May 12. To register for the class call 218-341-9692 or 218-634-1561, and mail a check for $25.00 payable to the Lake of the Woods Art Guild, 745 21st Ave SW, Baudette, MN 56623. Please include your name, address, phone, and email address.